Never before has a metric been so kicked around until it truly loses all meaning. In debating whose issue it is to increase Quality of Hire, we’ve stopped actually working to increase it. 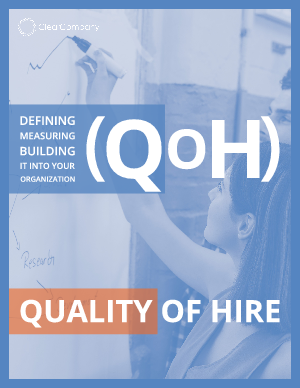 A simple search of HR practitioner blogs will give you a cursory view of metrics that may or may not affect QoH, and right and wrong ways to measure QoH, and of course, the crucial reasons to increase your QoH score. And while all of those things are important, resources that contain them, along with practical advice on how to get buy in from all the groups that weigh heavily on the outcome of QoH, are few and far between.